Staged in the Indian Ocean island of Mauritius; to date a total of 22 national associations have confirmed entries for the forthcoming 2018 ITTF African Championships. Play commences on Monday 3rd September and concludes on Sunday 9th September. The number entries is a record for recent times; a fact that most certainly pleases Khaled El-Salhy, the President of the African Table Tennis Federation. “Yes I am so happy with the number of entries; this time we have a special ITTF/ATTF Forum “Table Tennis For All, For Life” to be held on Monday 3rd and Tuesday 4th September, in which we are planning to conduct our new continental Strategic Plan for the coming years 2018 to 2024. ATTF is looking to conduct a special Strategic Plan satisfying the needs of all African associations, focused on the regions, involving more nations at less cost. We have had very successful events in Mauritius, the African Senior Championship in 1998 and 2004 plus African Junior and Cadet Championship in 2015. It was a fantastic performance from the Mauritius Table Tennis Association. Thus I am expecting to have a very special event from one of the top professional organizations in Africa. The Mauritius tournament will also serve as the qualification for the next Team World Cup to be held in November 2019 in Tokyo as a test event for Tokyo Olympic Games 2020 in Japan. 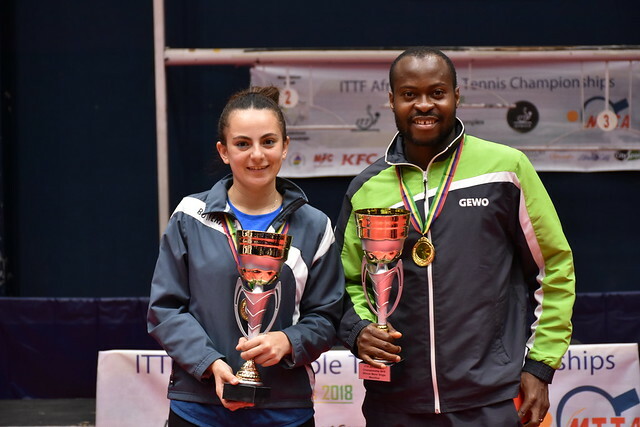 The countries represented at the 2018 ITTF Africa Senior Championships are: Mauritius, Nigeria, Egypt, Algeria, Gabon, Angola, Burkina Faso, Congo Brazzaville, Cameroun, Somalia, Rwanda, Seychelles, Madagascar, Togo, Benin Republic, Ivory Coast, South Africa, Djibouti, Comoros, Libya, Eritrea and Congo DRC.